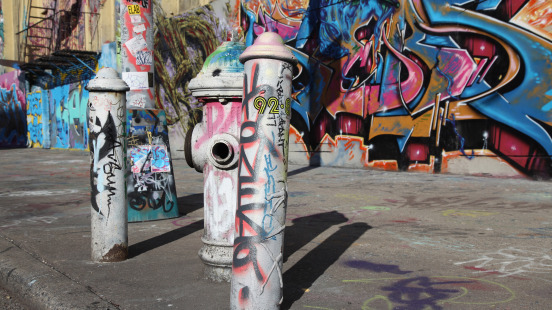 Vibrant street art, a colorful fire hydrant located in “5 Pointz” an outdoor art exhibit space in Long Island City, Queens, New York. This used to be one of the premiere graffiti locactions where murals were painted by artists from all over the world. Unfortunately the artwork was painted over and was torn down at the end of 2014 to build condominiums.